Looking for somewhere in the town to hold a small gathering or board meeting? Need a venue to host a talk or event? 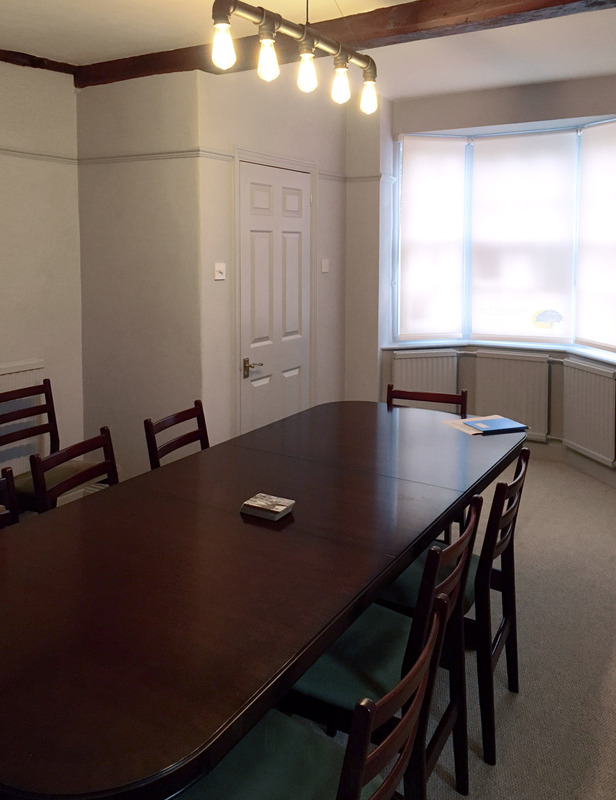 Our meeting room is available to hire from £15.00 per hour. We are conveniently located for public transport – both bus and train and there is free parking nearby in the Manor Gardens car park. Refreshments can be ordered from the Old Town Tea Room – located a few minutes’ walk away. Thoughout the year the Old Town plays host to many public events and occasions, from our May Day Celebrations to the annual Christmas Fair. Our news and events section helps you keep up to date with what's happening for both members, and non-members. We are an independent, non party, non-sectarian body that supports and promotes aspects of the Old Town for public benefit. We hope that this site will whet your appetite, encourage you to visit and perhaps join the enthusiastic band of supporters and volunteers who keep this beautiful town alive and thriving. Promote high standards of planning and architecture in/or affecting the area of benefit. Educate the public in the geography, history, natural history and architecture of the Old Town. Secure the preservation, protection, development and improvement of features of historic or public interest. Provide, maintain and support public amenities. By joining the Society you can help us to enhance the quality of life in our town. Would you like to be an insider at an event, instead of just looking at what is going on? We are always looking for volunteers to help with our projects throughout the year. © 2015 The Old Town Preservation Society. All rights reserved. Company Registration No: 8459906. Charity No: 1157672.